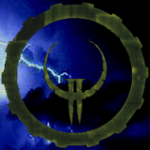 I am currently messing around with a mod called brazen for q2 - im new to this -- I didnt make the mod i just have its source. what would i put in this bit of code so this weapon cant be dropped , like the blaster. In a normal Q2 mod, you'd set its drop function to NULL instead of whatever function it calls there. But it looks like they removed those fields from the table. You'll probably have to add a special case for that weapon to whatever weapon drop function that mod uses. You could also add a drop function back into the itemlist definition and have the code use it, but that is harder and the entries for ALL items would have to be changed. /* precache */ "weapons/blastf1a.wav misc/lasfly.wav"
Isn't Brazen made by Paril? The in-mod menu in CTF and many mods is handled in p_menu.c, but I've seen some mods like Generations add menus in other files. The file will probably have "menu" somewhere in its name.